The High Court of Uttarakhand Today ordered a floor test for the Harish Rawat government, allowing the participation of rebel MLA’s as well. The floor test will be held on 31st of March, at 11 a.m. The High Court also maintained that the results of the floor test should not be declared in the Assembly, but should be presented before it in a sealed envelope. Senior Advocate Abhishek Manu Singhvi appeared for the Petitioner. i) The Session of the Uttarakhand Legislative Assembly shall be convened for 31.03.2016, at 11:00 A.M.
ii) The only agenda, which would be taken up in the Assembly on that date, would be the vote of confidence, as directed by the Governor earlier. (The only change is in the date, which is fixed by the Court). In other words, on that day, the vote of confidence shall be put to floor test. iii) To give the floor test a semblance of neutrality, and without prejudice to the rival contentions, all the MLAs shall be entitled to take part in the floor test, with, without or despite their disqualification, which will be subject to adjudication by the Court of competent jurisdiction, on an appropriate occasion. iv) The proceedings in the Assembly shall be totally peaceful and without disturbance. v) The result of vote of confidence shall be kept by the Speaker in a sealed cover and submitted / intimated to the Court at an earliest and, in any case, by the morning of 01.04.2016. The votes of disqualified Members shall be kept separate. vi) This order shall be treated to be a notice to all the MLAs, leaving apart the notices, the Governor / Secretariat is supposed to issue. No separate notice would be required. vii) Lord Chief Justice of this High Court may be moved by Registrar (Judicial) to consider the request of this Court for nominating a Registrar of this Court, as an Observer. ix) This Court directs the Chief Secretary, Principal Secretary (Home), Government of Uttarakhand and Director General of Police to see that all the Members of the Legislative Assembly attend the Assembly free, safely and securely and no hindrance is caused by anyone therein. Against this order the aggrieved parties including UOI has appealed before the Division Bench and the Appeal will be taken up tomorrow. Attorney General of India Mukul Rohatgi will appear for UOI. The new development came after the Congress Party submitted a petition against the Central Government’s dramatic move on last Sunday to dismiss the Party’s government in Uttarakhand headed by Harish Rawat and thereby imposing the Presidents’ rule. 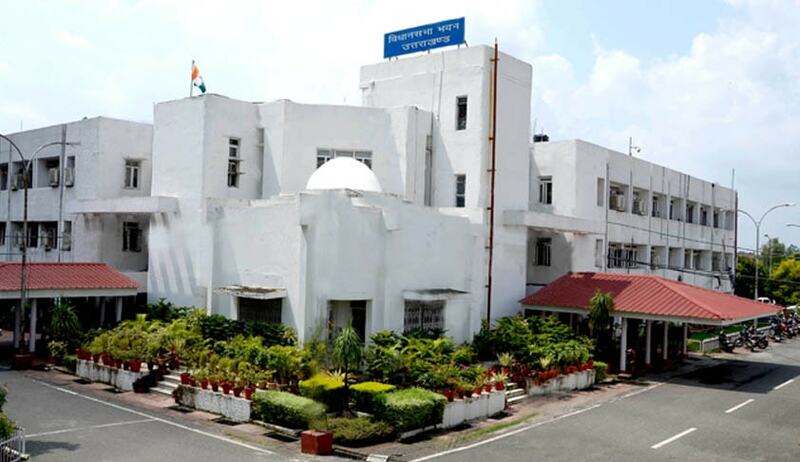 The crisis in Uttarakhand state assembly surfaced after nine Congress MLAs rebelled against Rawat's government on March 18th during the passage of the Appropriation Bill and rallied with the BJP. On the same day, BJP met the governor and staked claim to form the government. The assembly has altogether 70 MLA’s which consists of 36 from Congress (including the nine rebels), 28 from BJP and 6 other MLA’s that supports Congress.